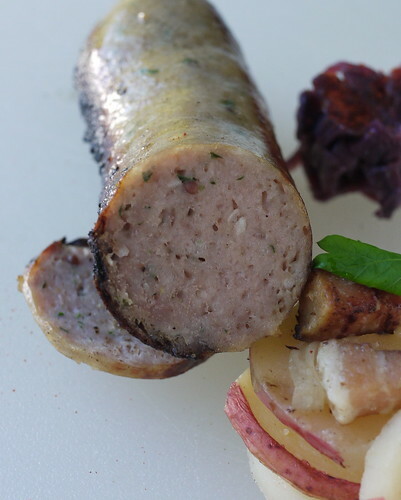 In this episode: Oktoberfest bratwurst recipe. October, the shank of the year. For the past couple of weeks we've had such wonderful weather here, it's been hard to get any work done. But we've managed to have some fun. 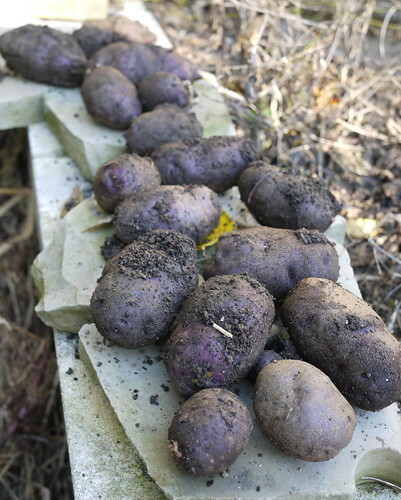 In Columbus last weekend mom dug purple potatoes. 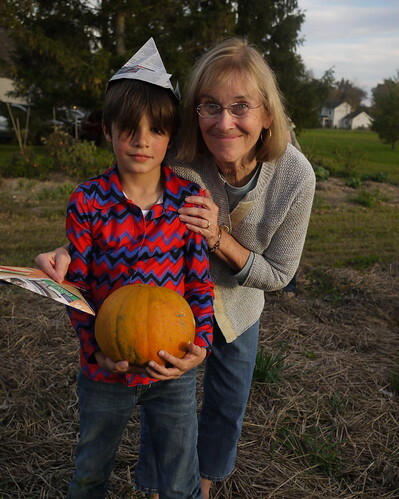 We picked pumpkins and wore funny paper hats. 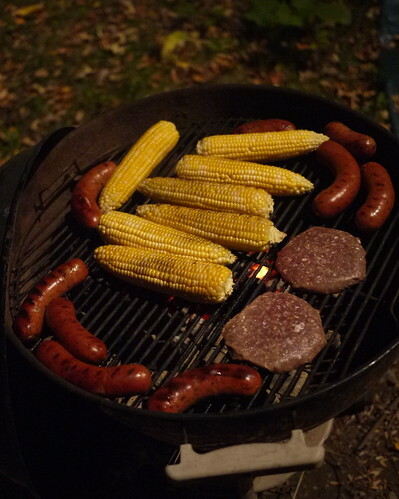 And we grilled some sausages. Fall and sausage go hand in hand, no wonder Germany has Oktoberfest around this time of year. 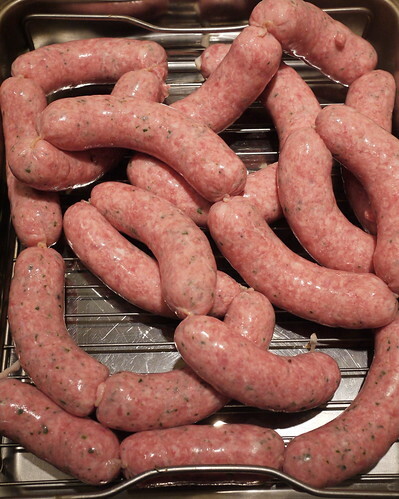 Our annual sausage fest took this year off, but I did make some special sausage to celebrate the season. Medium hog casings, rinsed and soaked for at least an hour. To make this sausage extra special, I ground it twice. Start by cuting the pork shoulder into manageable chunks and run them through the grinder. For grinding I use the Kitchen Aid food grinder attachment on the stand mixer. 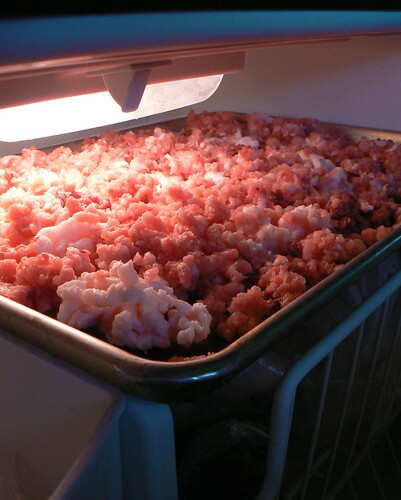 Spread out the ground pork on a lined baking sheet and throw it in the freezer for half an hour. Once crunchy, run it through the grinder again. 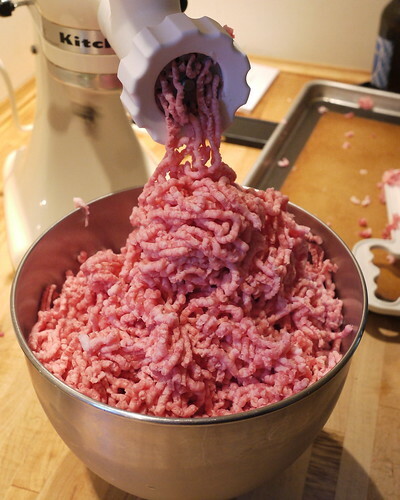 Five pounds of pork doesn't fit into my 4.5 quart mixing bowl so I did the next steps in a couple of batches. 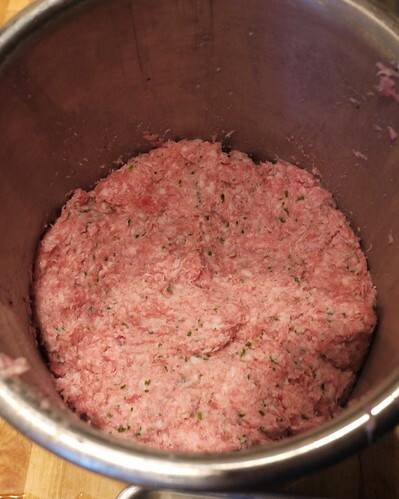 Using the paddle attachment mix together the pork and the dry ingredients, then slowly add the beer. Continue to mix until the mixture comes together, 1 to 2 minutes. Stuff into hog casings and twist. Serve with German potato salad, braised red cabbage and mustard.